In You Are My Sweetheart, every day is a chance to say "I love you" to your dearest. . . and sweetest! This lovey-dovey board book includes Wan's iconic bold lines, glitter, and embossing on the cover as well as eye-catching spreads featuring an irresistible cast of chubby, lovable characters, such as candy hearts, a sweetie pie, a honey bun, and more. And at the end of the story you can't help but snuggle up with your own little sweetheart with "kisses and hugs" to remind them that you love them! 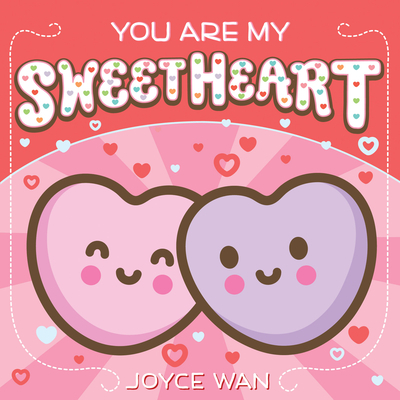 A beautiful celebration of the love from today's boldest and beloved picture book creator Joyce Wan!